Buy Scales & Load Cells and Save Money! Whatever you need to weigh, we have a weighing scale to fit your needs; from heavy capacity pallet scales to the most accurate parts counting scales available. We can provide gram balances for your laboratory along with test weights to check for accuracy. We also have a great selection of Brecknell industrial floor scales for warehouse needs. 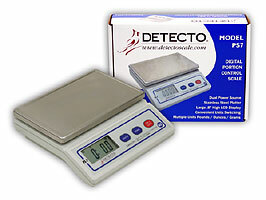 Our deli scales are high quality check weighers that any quality control department will approve of. If you need replacement parts, then you've come to the right place since we have all the top brands of strain gauge load cells available from names like Tedea Huntleigh and Sensortronics. Why spend hours looking through dozens of scale websites? We can supply you with the scale you are looking for, at a great price! As a customer focused weighing scales company with a problem solving mentality, we provide practical and economic solutions to your weighing scale requirements. A high quality and innovative product range, coupled with trained and committed personnel enables GOscales.com to offer the right scales and customized weighing systems with exceptional after sales service. Do you distribute retail food products or supply building materials? Do you need to weigh and count thousands of tiny components with extreme accuracy? 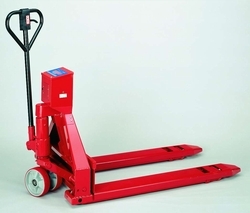 Do you need to weigh trucks loaded with your valuable material? GOscales.com is backed by over 30 years of scale experience, so we will not only supply the correct weighing equipment for you at an extremely competitive price, we'll also make sure that the system(s) continues to perform for years to come. Sales, Service, Calibration, and Rentals. Have questions or need product recommendations and reviews. It's not a problem, just contact us and we will have a scale sales person contact you with experienced recommendations of products that we feel will work for your needs. You see we don't overload you with a hundred different scales to choose from. We provide you with the scale system that we feel will perform the best for your need. Call our friendly, knowledgeable customer service/applications support technicians. They are available to help you from 8am to 4:30pm EST Monday thru Friday. We stock a huge inventory of replacement parts. Looking for help servicing your scale or printer? Our repair service department is fully trained with the right equipment to get the job done. 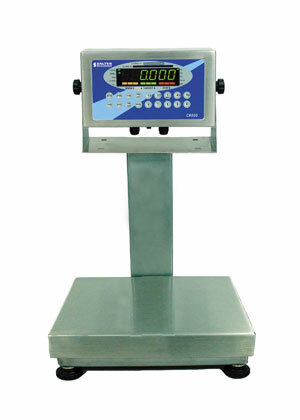 Airline baggage scales, Animal scales, Baby scales, Body Fat Body Mass Index, BMI, Analytical Balances, Industrial Balances, Top Load Balances, Bakery Scales, Barcode printers, Barrel Scales, Batching systems, Bench scales, Cat scales, Check weighing scales, Computer interface, Conveyor scales, Concrete batching, Counting scales, Crane scales, Currency Counters, Data collection & management, Dial scales, Dough weighers, Doctor scales, Dog scales, Drum filling scales, Dump truck scales, Farm Scales, Floor scales, Food scales, Fork lift scales, Front loader scales, Gram scales, Health scales, Hoppers, Hospital bed scales, Hostile environment, IS, Intrinsically safe scales, In-motion conveyor scales, Jewelry scales, Lab scales, Laundromat scales,Onboard scales, Medical scales, Mechanical scales, Mechanical balances, Monorail, Physician scales, Postal scales, Portion control scales, Price computing label printing scales, Printers, Quality Control QC, Race Car Scales, Rail scales, Remote Displays, Scale indicators, Scale software, Shipping scales, Spring scales, Stainless Steel, Tape printers, Top loading scales, Truck scales, UPS scales, Used scales, Veterinary Scales, Washdown units, Weights, Weight kits, Wheel chair scales, Wheel loader scales, Weigh In-motion scales, Wrestling scales and more ! We are a full service scale company. Authorized distributor for various manufacturers including CAS, Detecto, Digi, UWE, Transcell, & Salter Brecknell.